This is one of the many estate agents displays we have manufactured. 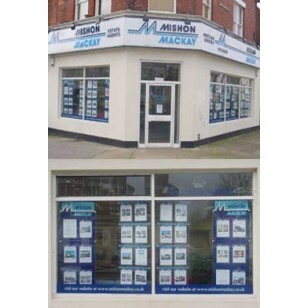 Our aim is to give all our customers a professional looking display with maximum visibility and an economical price. We will be happy to quote to specific requirements. Shown is a combination of both aluminium bar and panel displays. The whole display is coloured to suit the Mishon Mackay scheme.